Rylie Gresham has enjoyed two peaceful years as Alpha of the last werewolf pack in existence. But she's feeling kind of confused. Her boyfriend, Seth, has been away at college, and her feelings for his brother, Abel, have been growing as they run the pack together. Everything gets a lot more complicated when someone sends her a silver bullet and a threatening message. It throws her into a deadly battle with enemies old and new, which is only slightly less perilous than the battle inside her heart. Sooner or later, she's going to have to choose: will she marry Seth, or follow her feelings for Abel? Rylie is Alpha: the leader of the werewolves. They're an endangered species living in a sanctuary, and she's guarded them for two peaceful years. The peace is shattered when somebody sends Rylie a threatening silver bullet. A new member of the pack goes missing. And to make things worse, her inner wolf is strangely attracted to her boyfriend's brother, leaving her torn between the love of two men--one of them a werewolf, and the other a former hunter. Rylie's home has been turned into a battle zone by attacking hunters--and by her conflicted heart. Her wolf and human sides are in love with different men, and neither Seth nor Abel will give Rylie up without a fight. 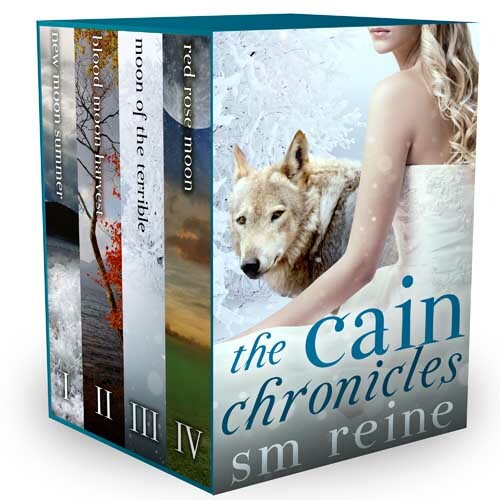 To save her pack, Rylie will have to find out who Cain is. To save herself, she'll have to choose between the man she wants and the man she needs. Abel is struggling to find his footing at the werewolf sanctuary when he receives terrible news: the girl he loves and his brother have vanished. Seth calls to claim that they're eloping, but Abel knows it's a lie. There's no way that Rylie would get married without telling him. Not when the memory of her scorching kiss is still burning on his lips. Certain that something is wrong, Abel drops everything to rescue Rylie and Seth--and stake his claim over his mate. Rylie Gresham, Alpha of the endangered werewolf species, is pregnant. The fact that she's only eighteen and maybe a tiny bit in love with her boyfriend's brother isn't even the worst part: the baby is going to be a werewolf, too. Certain that Seth is the father, she finally agrees to marry him, even if her heart is still filled with doubt. Abel is being held captive by Cain when he hears about Rylie's condition--and the shocking circumstances surrounding the conception. Rylie and Abel have been mating on the full moons, so there's a chance that he's the father, and she has no clue. Now Abel has to escape Cain and crash the wedding before his mate marries his brother. A zombie mother-in-law, back-stabbing hunters, and wicked morning sickness mean that they're all in for one heck of a party.